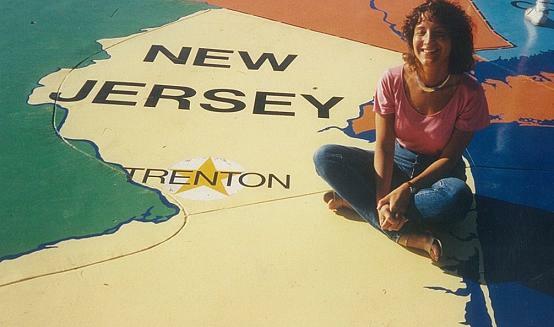 I’m a journalist who’s been traveling since my teens, when I’d gaze at the ocean at the Jersey Shore and couldn’t wait to discover what was well beyond the horizon. I’ve flown around the world solo with just a carry-on and laptop; lived my own version of Crocodile Dundee in Australia; gone marlin fishing in Cabo San Lucas, glacier climbing in New Zealand; and tooled around Alaska in a bush plane. I’ve worked as a news writer, copy editor and producer at MSNBC, Travel Channel, TIME, and Australia’s equivalent of the PBS NewsHour; and my travel stuff has appeared in The Huffington Post, the L.A. Times, Dallas Morning News and travelwithval.com. I can appreciate lusting after the latest grill or bling. 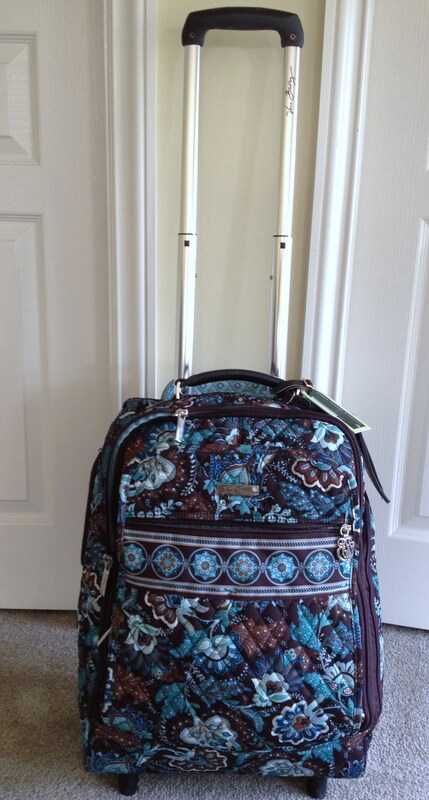 But I’m even more wowed about my Vera Bradley suitcase that’s girlie and practical. It looks like a big purse (gets lots of compliments). But it’s roomy enough for long trips, and is a carry-on, to boot. How can luggage get me so jazzed? Because IMO, travel’s the best learning experience anyone can ever have. Sadly, the world’s much smaller than when I first started (pre-Starbucks, and even Mr. Coffee.) Hence the challenge. To seek out the things that still make places unique. For roughly the same cost as the same old, same old. To each his or her own, but I’m generally not a theme park person. And I’ve always shunned tours, unless going it alone is too difficult, time-consuming or dangerous. Or the tour really has something worth seeing. Most important: Third night free is not what Planet Lippstone is all about. Don’t get me wrong: I love bargains as much as anyone else. But the promise of an experience always comes first when plotting a trip. Then I look to see how I can save. Even though I seek out bargains, I’m not opposed to the occasional splurge. So let’s talk travel. Or dogs and health (not one and the same, though they can be), my other passions. I’m a research junkie when it comes to health. Given how much I know in that department — I’m jokingly known as the other Dr. Laura in some circles — you’d think I would have relinquished my title as The Original Junk Food Junkie. What can I say? It’s my own private Yin and Yang. My body is a vandalized temple. The renovations, I can safely say, will always be ongoing. Popular culture and life’s quirks also get me going. What about you? Welcome to Planet Lippstone. Pull up a chair and get comfy. Disclosure: Laura Lippstone, the author of Planet Lippstone, is a veteran journalist who has always made it a point to be objective in her reporting. Thus, the aim of her self-sustaining blog, Planet Lippstone, is to fairly and impartially tell it like it is, from a traveler’s point of view. That means refusing help from the travel industry to promote places and products, or deliberately casting them in a favorable light. However, Planet Lippstone’s aim — to encourage readers to travel by showing them how — does promote travel in the larger sense. In cases where a so-called discounted “media rate” is offered for the chance to experience and impart useful information, the provider will be informed of that intent, and any such arrangement will be disclosed to readers, along with an unbiased review. Disclaimer: My travel experiences are just that — my experiences. Your mileage and comfort level may vary. In other words, Laura Lippstone, author of planetlippstone.com, is not responsible for your experiences. As with any purchase, it’s up to you to know what you’re getting into every step of the way before booking any travel. It’s your responsibility to know the political and health risks involved, and to obtain all necessary visas and recommended vaccinations. The following are good places to start your research: http://www.state.gov, http://www.tsa.gov, http://www.dot.gov, http://www.faa.gov, http://www.cdc.gov, http://www.treas.gov/ofac and http://www.customs.gov. Also contact a local clinic that deals specifically with travel health issues. If you still have unanswered questions or any doubts about an international destination, contact the consulate, embassy or tourist board for that particular country. A travel agent may also be able to steer you in the right direction. Finally, whether you’re dealing with a hotel or rental around the corner or around the world, don’t be afraid to be a pest. Your safety and hard-earned dough are at stake. Nice to have you join us at a Laughter Yoga session in Kennett Sq. Pa. location. I have enjoyed connecting with you and sharing a laughter with you. I love your adventurous side ..You are AWESOME. Good job improvising Shakespeare . Ho ,Ho, Ha.Ha. Ha… Thank you for sharing your joy with others in the group and raising everyone’s spirit with yours.